She has been an actress and impersonator for 10 years and has enjoyed performing as “Elizabeth Taylor” at parties, conventions, and on film and television. 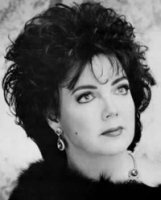 She created the role of “Liz Taylor” in the Los Angeles version of the Off Broadway play, “Dressing Room Divas.” Which played for 18 months! She can put your guests at ease, mingling with the crowd and posing for pictures; act as the MC for the entire event, OR do 5-10 minutes of stand-up comedy and a song parody or two for a complete entertainment package. *She presents “Ms. 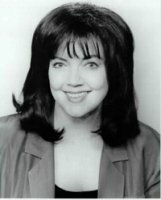 Lewinsky” as incredibly naive and unsophisticated so that the raunchier aspects of her relationship with the former President are played as (wink, wink)…”Just a big misunderstanding.” *She is a multi-talented actress, singer,impersonator and comedienne. Imagine the excitement when the “First Lady, Laura Bush” appears at your corporate or special event. She excels at sketch comedy particularly when accompanied by a “George W. (Dubya) Bush”. 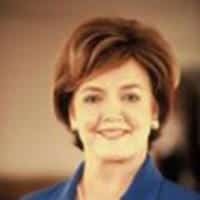 She was recently a featured performer as “Laura Bush” at the “Reel Awards” in Los Angeles.